From 18 to 31 August 2019. From 18 to 25 August, a seminar on Ancient and Modern Greek Culture, given by Nikos Dais. The topic of the seminar will be ‘Eros – Love in Greek Literature and Life’. The main language of communication will be English. 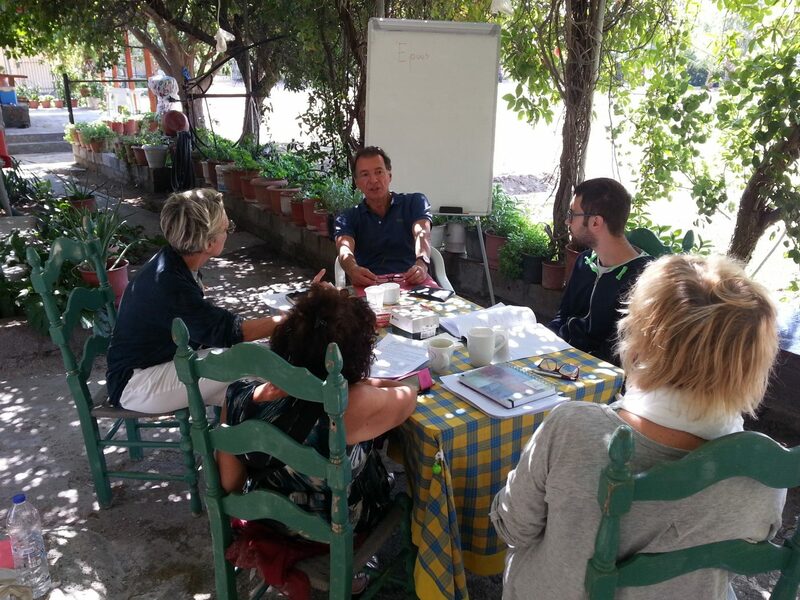 From 18 to 31 August: two weeks of intensive courses in Modern Greek Language and culture at all levels. A combination of the seminar during the first week and a course in Modern Greek during the second week. Courses in Ancient Greek on request. The joint August program will be held at the PARADISE STUDIOS, located in Skala Eresos. The studios are at a five-minute walk from the sea and the village square, very close to supermarkets, coffee houses, bars and taverns. The ten studios are bright, air-conditioned and have their own toilets with shower. Each contains two single beds, which can be joined to form one large bed. 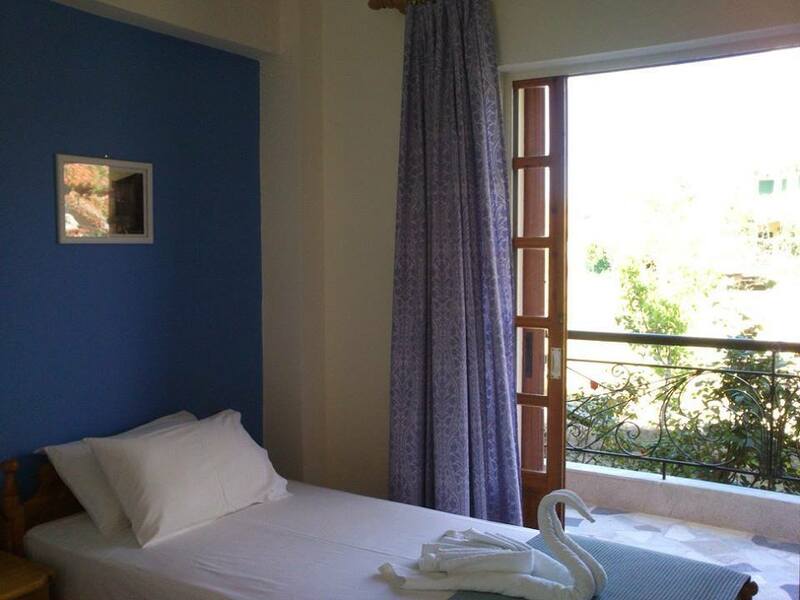 They are equipped with TV, fridge, kitchenette and kettles to enjoy coffee or tea on your balcony or in the garden. They also offer free Wi-Fi and free parking on-site. Breakfast is not offered. Classes will take place in the shaded yard of the Paradise Studios, from Monday to Friday and from 9: 00 am to 1:00 pm. Note: Students who have chosen another accomodation, are also welcome to attend the seminar and/or courses. In this case they will pay only the tuition fees. For additional information on the seminar please visit the relevant page.